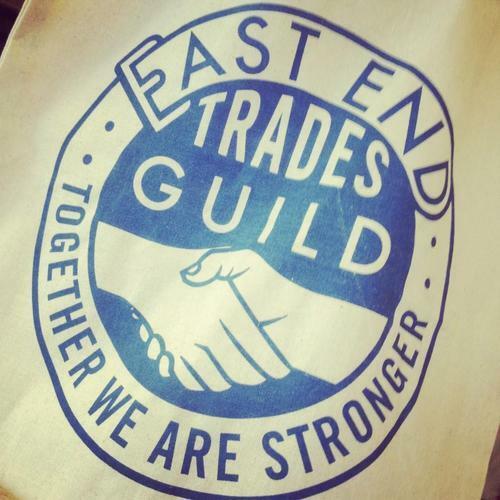 We’re very pleased to be one of the founding members of the East End Trades Guild. The East End Trades Guild logo, designed by James Brown. We’ve been in this part of London for over 12 years now, and although not as long as some traders, we feel like one of the old guard. And we love to see all the new independent shops and businesses opening up around here, run by people who have recognised this area as the best place to start their small business, safe in the knowledge that customers are discerning and enthusiastic, and prepared to put their money into the hands ( and tills ) of the ‘small guy’. 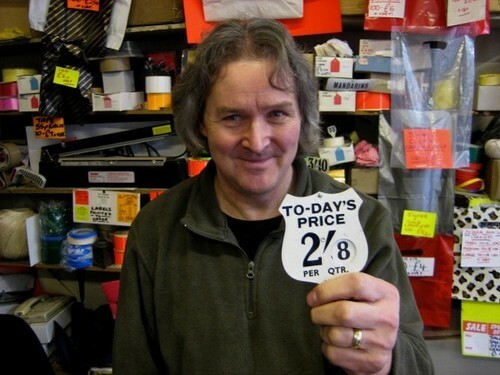 Paul Gardner, local trader and inspiration behind the EETG. Yet we’ve also seen the steady upwards creep - and often the rapid upwards shoot - of rents, as the success of the area has brought its own problems. In what we must call the 'Covent Garden Effect’, a somewhat shabby, tired market area is reinvigorated by exciting independent businesses before being 'discovered’, publicised and gentrified, before finally the big brands arrive, rents rise, and the original traders are moved on. 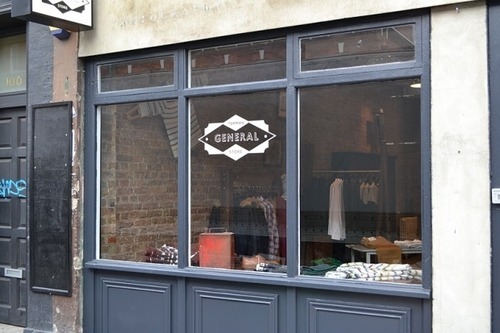 Topman 'General Store’ on Commercial Street. As small businesses we don’t have the financial backing of the chains, so as rents inevitably rise, we are competing with operations with deep pockets and little regard for anything other than the bottom line. Without the work of groups like the EETG, what is feared may become unstoppable, and then how long before Leila’s becomes a Nero, or Cafeand a Starbucks? Or if Pellici’s were forced out and replaced by a Pret a Manger? 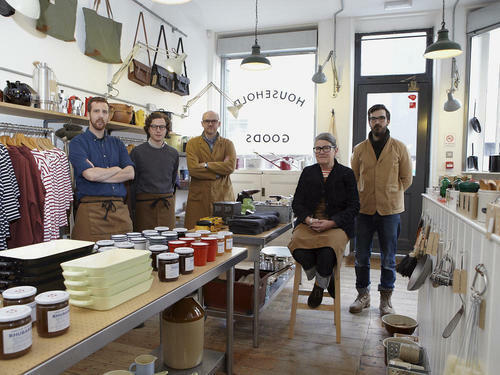 What then will happen to Shoreditch and the East End? So let’s all wish the East End Trades Guild the best of luck as it launches this week, and lets hope it can inspire traders in other areas, towns and cities to unite, to work together to support the local economy. As their logo says - Together We Are Stronger. As part of the EETG project, all the members are being photographed - our thanks to Patricia Niven for this great picture. The East End Trades Guild will officially launch on Monday 19th November at Christ Church Spitalfields.